In shock radio, nothing is too far over-the-top in the pursuit of ratings. During his twenty-six-year career, D.C. radio talk show host Rick Jennings steered clear of outrageous radio. Wasn’t his thing. So when WTLK execs tap him for the Afternoon Circus to land a lucrative satellite deal, Rick struggles to maintain his standards — and his dignity. A chilling call (“I’m a long-time listener, first time KILLER.”) leads to the discovery of an intern’s arm in a trashcan. Rick spars with the “First Time” killer over the airwaves. The police are stymied. Ratings skyrocket. And First Time continues to knock off members of the Circus, phoning in to gloat afterward. In a world of psychics and poseurs, crazy deejays and crazier callers, it’s up to Rick to bring First Time down before more people perish. 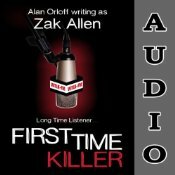 First Time Killer pits a serial killer against a radio talk-show host. The killer clearly likes the publicity, and, in all honesty, it’s good for the ratings. The Afternoon Circus needs the ratings to land the satellite deal that will make them all pretty rich. The higher-ups want Rick to keep going with the killer, talk to callers about him, get guests to discuss him, even talk to him when he calls in. The whole thing makes Rick uncomfortable, but turns out he’s the only one the killer want to talk to. The employees of the station each have their quirks, and the callers, especially the regulars, are even more nuts. The plot was good and kept me guessing. And I liked how Rick dealt with his conflicting feelings – needing to keep the job, hating the killer, wanting good ratings. It’s a bit disturbing, but stays away from the gory and the FCC regulations the radio hosts have to abide by keep the language from going too far over the line. The writing was maybe not as polished as I’d like, or maybe some of the phrases have been over-used. 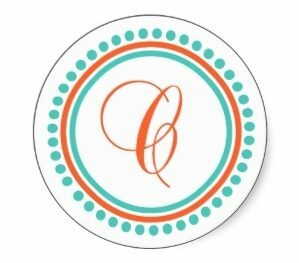 I don’t have any examples off the top of my head – I was listening to it on audio and it’s hard to note specific quotes, but I know there were sometimes when I thought “really” and mentally rolled my eyes. I listened to the audio, narrated by Bob Dunsworth. I think that was a good choice for me. It was entertaining to listen to and I found myself worrying who the next victim would be. Dunsworth did a good job with al the characters, providing variety and emotion. He kept up the tension throughout, almost too much. Really how much suspense should be read into having dinner. I needed a break occasionally, If that makes sense, but that wasn’t Dunsworth’s style. Radio and murder make a good match. I could totally understand why people stopped coming to work at the station, between the fear of becoming a victim and watching your co-workers with suspicion. I liked the ending, too, the wrap-up after the killer is exposed. It made me smile. I am not sure if I would like this or not. It does sound somewhat compelling, though. Sometimes audios help me finish a book I wouldn’t have otherwise.